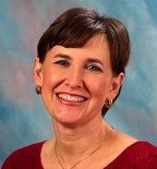 Dr. Pamela Heggie, MD, IBCLC, FAAP, FABM, is a pediatrician and lactation consultant. She has practiced pediatrics in the Twin Cities for over 20 years, and breastfeeding medicine for 8 years. She attended Brown University for her undergraduate education in Rhode Island where she received a B.A degree in Biomedical Ethics. She went went to medical school at Case Western Reserve University in Cleveland, Ohio. Dr. Heggie completed her pediatric residency and fellowship in Developmental-Behavioral Pediatrics at the University of Rochester in New York. Dr. Heggie became a lactation consultant (IBCLC) in 2008 and a fellow of the Academy of Breastfeeding Medicine in 2014. She is currently Director of Breastfeeding Medicine at Central Pediatrics in St. Paul and Clinical Assistant Professor at the University of Minnesota. Cheyenne Johnson, CD(DONA) is a queer DONA certified full-spectrum doula with over 100 births under her belt, and recent foster parent to a trans teen. Cheyenne’s work with families was inspired by a passion for serving underrepresented communities such as LGBTQ families, single parents, and teen parents. Her background includes supporting youth as a middle school math teacher and serving as Education Coordinator for the Minnesota GLBTA Campus Alliance for several years. As a Faculty Presenter at the Creating Change Conference – the largest annual gathering of activists in the GLBTQ movement – she has led day-long Ally Institutes focused on ally identity development for audiences including top-level executives and directors of nonprofits. Holly Fix, CPM, LM, is a home birth midwife with a small private practice. She also provides postpartum care and lactation support for families birthing at Roots Community Birth Center. Holly has been involved in birth advocacy, public education, doula work, and midwifery for the last 10 years. She lives in St Louis Park with her partner and three sons. Casey Berberich, La Leche League Leader, CLC, has been an LLL Leader since 2009 and the area Communication Skills Instructor since 2016. She is the mother of four boys (11, 9, 6, and 4). She visits families to provide developmental screens for the younger members of the community. She also enjoys reading, gardening, and has recently taken up swimming. Anne Casey served as a La Leche League Leader for nine years and was the Area Communications Coordinator for three years. She served as editor of Northern LLLights, La Leche League of Minnesota and Dakotas’ newsletter for Leaders and has contributed to New Beginnings, the magazine of LLL USA. Anne lives in St. Louis Park, MN with her husband, two children, and many musical instruments. 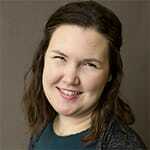 Anna Brauch-Sapp is a mother of two from South Minneapolis and a Leader with LLL of Golden Valley, MN. They earned their B.A. in Gender, Women and Sexuality Studies in 2007 and are enjoying finding ways to create space in the intersection of queer identity and parenting. When Anna isn't working on LLL projects, they are taking their toddler and preschooler on public transportation adventures and organizing family programs for Minneapolis Parks and Rec. They have led workshops on queer cultural topics for EXCO Twin Cities, The Queer Birth Project, the Femme Collective, and the Midwest BLGTA College Conference. Ingrid Kaufman is a La Leche League Leader with the Waconia Group. She has two daughters, Madeline (11) and Isabelle (7). Ingrid started attending LLL meetings when Madeline was 6 months old in hopes of finding like-minded parents. She has been a Leader for 9 years. In her spare time, Ingrid likes to read, cook and train for triathlons. Jill Christianson is a birth doula, certified childbirth educator, La Leche League Leader, and Area Finance Coordinator for La Leche League of Minnesota and the Dakotas. Over the past 10 years, she has helped hundreds of families during pregnancy, birth, and breastfeeding. She and her husband have four children, aged 4-13. Vickie Albright, LLL Leader, IBCLC, RLC, has been a Leader with La Leche League since 2008. She is the Area Coordinator of Leaders and a District Advisor as well as the Area Database Administrator. Her private practice, MamaWise Lactation, provides in-home lactation support. She is a proud mama to two daughters and a member of the International Lactation Consultant Association. We are currently accepting submissions from local presenters who would like to participate in our conference. If you have knowledge and expertise to share related to breastfeeding, birth, babies, families, or parenting, please email Anne Ferguson.